“Save the cheerleader, save the world!” surely you remember this quote from the TV series “Heroes” created in 2006 by Tim Kring lasting all the way to 2010. This year, the heroes come back with much more experiences to offer. 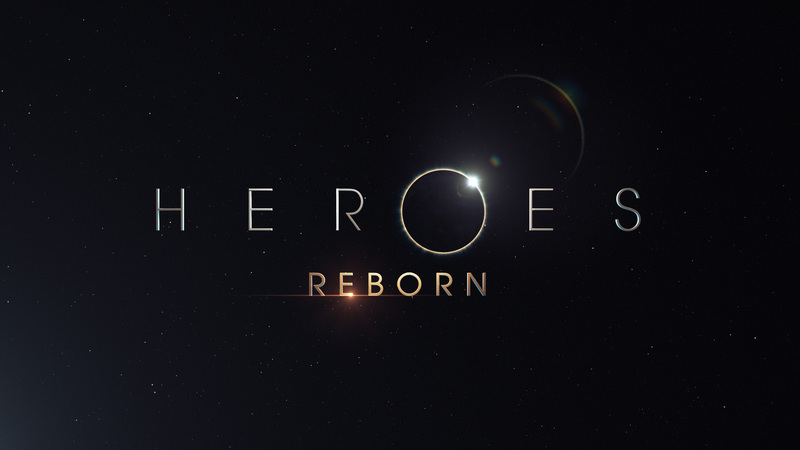 On Thursday, September 24 the premier of “Heroes Reborn” aired on the NBC channel at 8/7c making people feel the excitement and nostalgia all in one. Season 4 of “Heroes” ended on February 8th of 2010 with a very promising ending as Clair reveals to the world her abilities by jumping from a Ferris wheel and showing her healing ability to an audience full of people oblivious to extraordinary abilities and a cameraman. This last event is what brought the spotlight to these heroes. “Heroes Reborn” is a 13 episode event series which starts with new characters and new storylines apart from the original ones. The director of the show Tim Kring states “We start 5 years from where we left off, so that amount of time will be transpired”. Therefore Heroes Reborn takes place 5 years after Clair finally uncovers the existence of people with superpowers to the world. Following these events, a terrorist attack took place in Odessa, Texas leaving it partly destroyed. Now that Claire revealed her powers to the world people know that there is such thing as people with extraordinary abilities (EVOS), and now they can’t help but blame these people for the catastrophic event. Persecution and fear go after EVOS making them hide and become invisible to the world, for if they get caught by society they will be turned into experiment subjects, locked up or even murdered in cold blood. In a Heroes Reborn interview Robbie Kay (Tommy Clark) said: “It’s changed the landscape of the globe in the sense that now people are aware of people with special abilities, people are actually actively hunting them down”. In this series new characters are introduced. There is (along with the famous Hiro Nakamura, Noah Bennet and Mohinder Suresh) Tommy Clark, Luke Collins, Miko Otomo, Joanne Collins, Malina, Emily, Erica and Carlos. Tommy or Kevin as his formal name (played by Robbie Kay) is a 16-year-old awkward high school student who only wants to fit in. He has one love and that is Emily(who is oblivious to people with extraordinary powers), but winning the girl of his dreams becomes difficult after discovering he possesses the ability of making things disappear. He becomes fearful of this ability, because at first he doesn’t know where exactly it is that everything he makes disappear goes to, but later on, he realizes that he sends these things to whatever place he thinks about. Luke fakes being in the side of the EVOS, but he partners with his wife Joanne to hunt and kill EVOS, to avenge the death of his son in the terrorist attack that occurred a year before that. Miko Otom o (played by Kiki Sukezane) is a Japanese girl who, as she is sitting in her apartment quietly folding origamis is suddenly surprised by Ren Shimosawa, a famous gamer, who breaks into her house telling her she is from a video game. She doesn’t believe him, but indeed she is, her name in the video game is Katana girl. Miko can enter the gaming world in the game Evernow just by unsheathing Hiro Nakamura’s sword, and her goal inside the game is to save her father. Up high in the Arctic there lives Malina portrayed by Danika Yarosh. A 16-year-old brave spirited girl who is able to control the elements. She can also control the northern lights and neutralize storms that come directed to her site. As she is seen controlling the northern lights in the first episode she says: “It’s happening faster than we thought, I don’t think I can control it much longer” she is said to have a great destiny awaiting for her, so this quote gives us the idea that she indeed has an important role in the lives of the EVOS. Few characters return from the original series, but there are plenty of new characters with new interesting abilities to get familiarized with. Two episodes are already out, the pilot’s air date was on Thursday, September 24. The show is available on Thurdays at 8/7c on the NBC channel, or also the episodes can be found on the NBC App. Tune in for more of extraordinary abilities and the exciting adventures of the heroes.